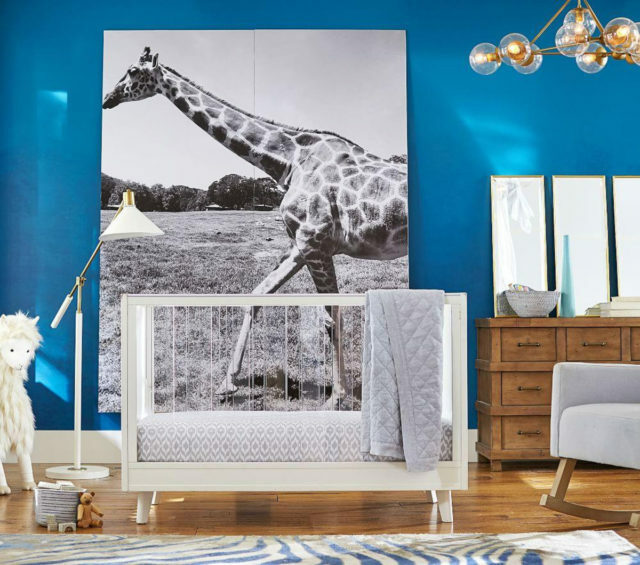 Pottery Barn Kids is one of my go-to places when shopping for tiny tots. 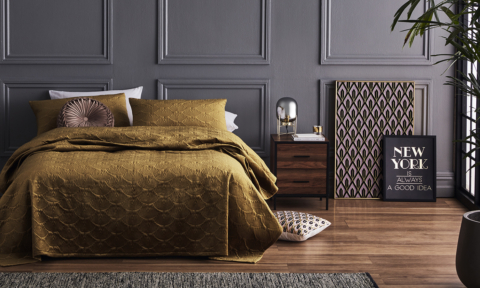 Affordable, on-trend and good quality, it’s hard to go wrong. And of course Jen has done both Sebastian’s bedrooms so far in collaboration with them! 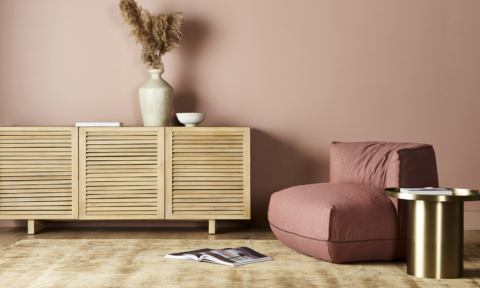 Take a look at our top picks from the new spring collection. 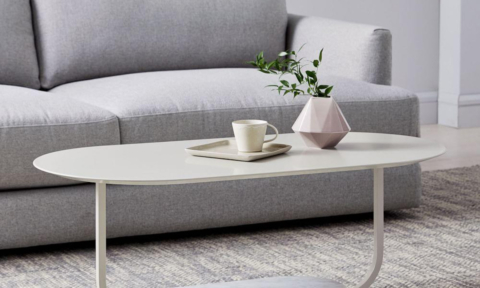 : A modern take on an essential, this sturdy cot boasts acrylic slats to accent the clean lines. The clear slats provide an airy, open feel that blends with any bedroom design. Nothing chunky or gaudy in sight with this cot! Best yet, it easily adapts from cot to toddler bed with a conversion kit (sold separately). $799. 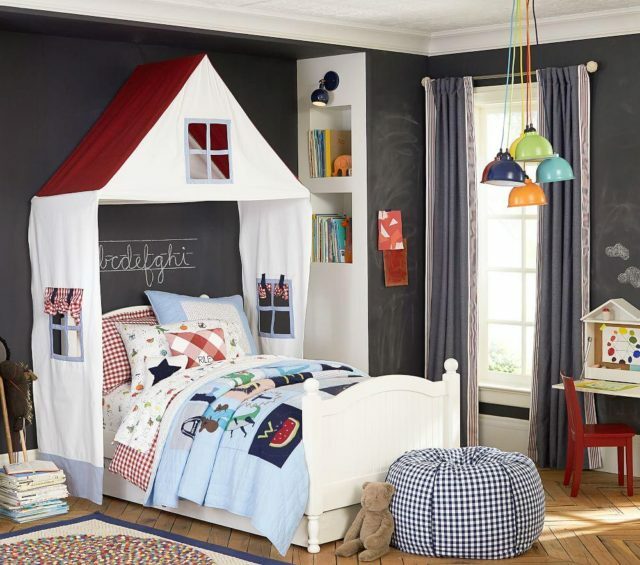 : Super cosy, the canopy can hang over your little one’s bed or act as a simple playroom accent. $259. 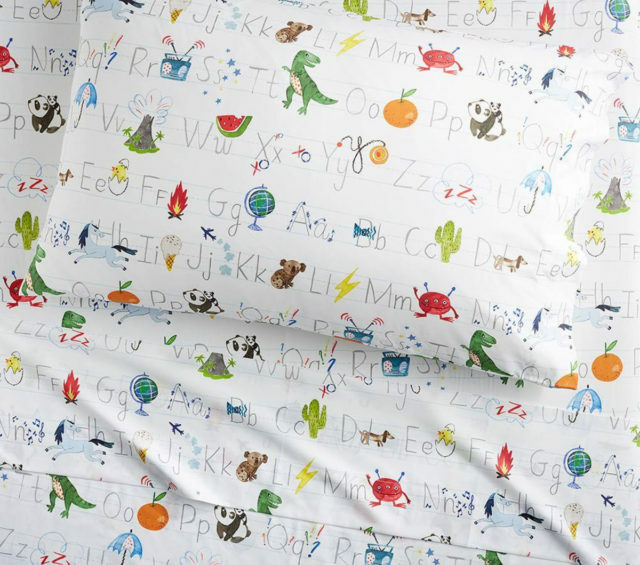 : I love bedding and this linen gets two ticks for being cute and educational! 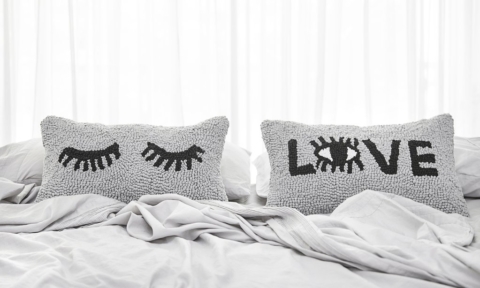 Featuring playful letters with coordinating images, it is made from pure organic cotton and comes in three sizes. Prices start from $99. : Oh my goodness! Too. Gorgeous. 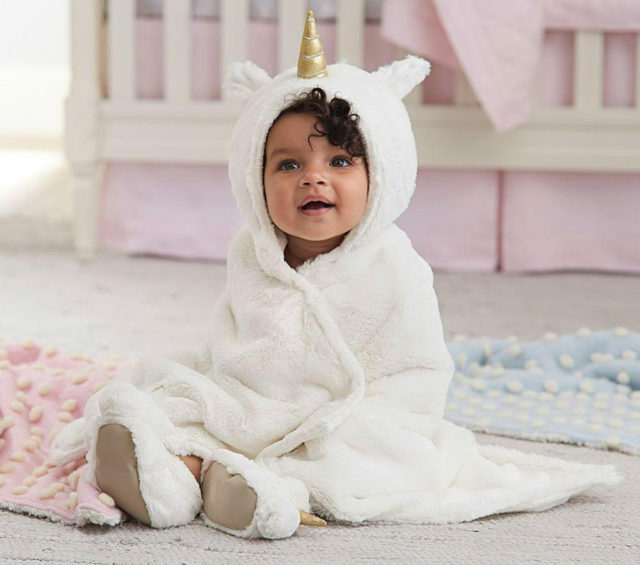 A cuddly, post-bath treat, this faux fur bath wrap adds supreme comfort (and cuteness!) to your baby’s bath time. Plus it’s just $59. 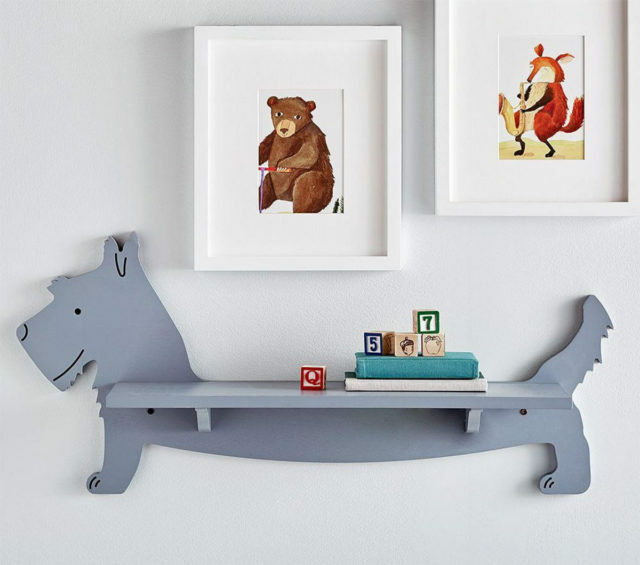 : Shaped like one of our favourite pooches, this little shelf boasts plenty of storage for favourite toys and treasures. Reversible so it can face either left or right, it also comes in a dachshund design. $99. 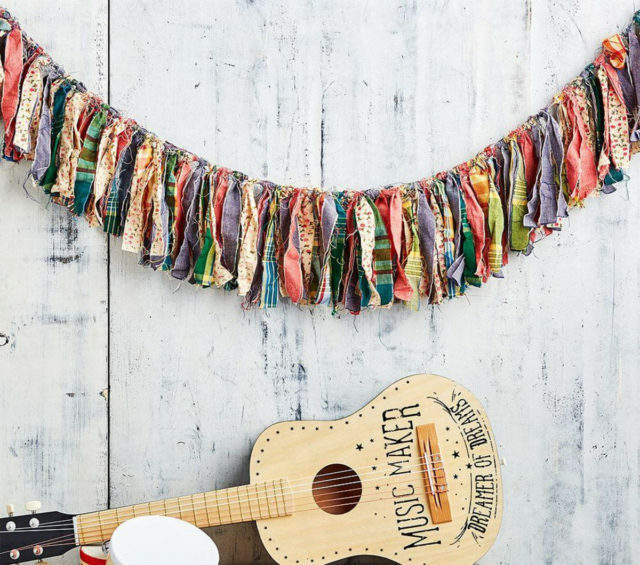 : This hand-crafted garland drapes the wall in a whimsical design your little one will love. 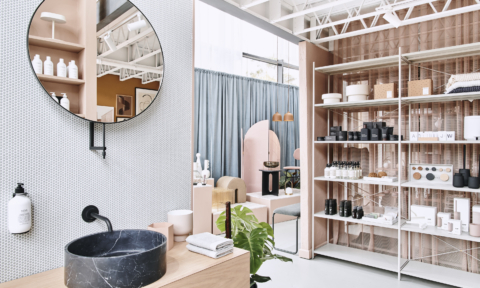 Designed exclusively for Pottery Barn Kids by sisters Amie and Jolie Sikes, aka the Junk Gypsies, it captures the duo’s rebellious spirit and unique design philosophy. Just $24. : Organisation and planning skills are made easy with this versatile piece. 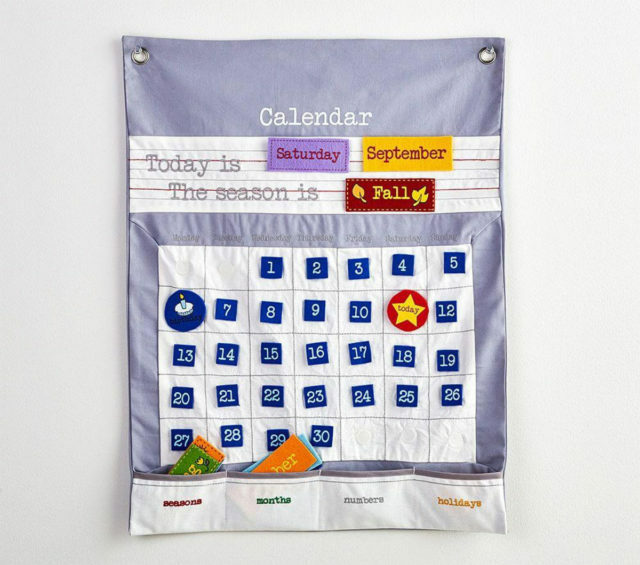 Velcro pieces featuring days, months and holidays let your child plan out their upcoming activities. Plus, the pocket at the bottom neatly stores any extra pieces or notes. It’s yours for $64. 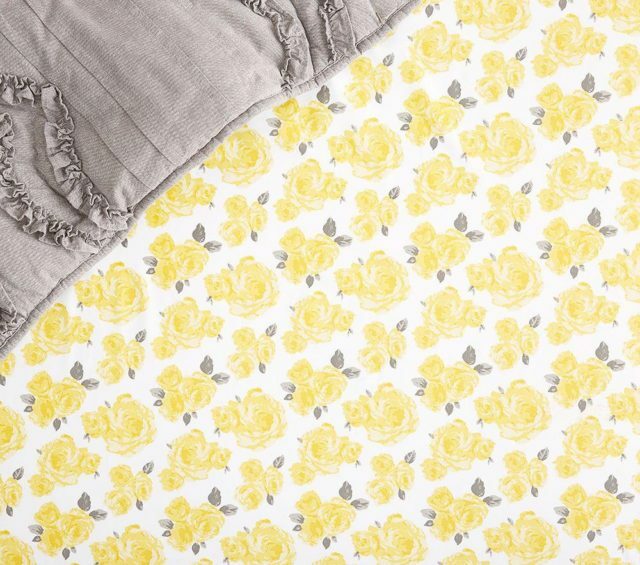 : Add a touch of floral detail to your baby’s cot with bedding made from h, pure organic cotton. 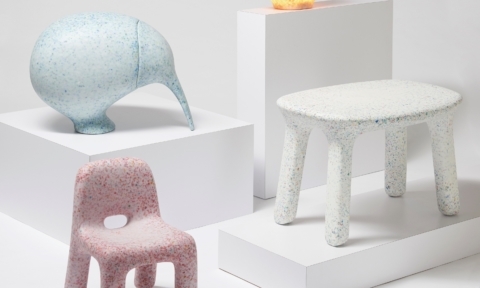 Exclusively designed for Pottery Barn Kids by fashion designers Emily Current and Meritt Elliott, it captures the duo’s playful and enchanting design aesthetic. $49. 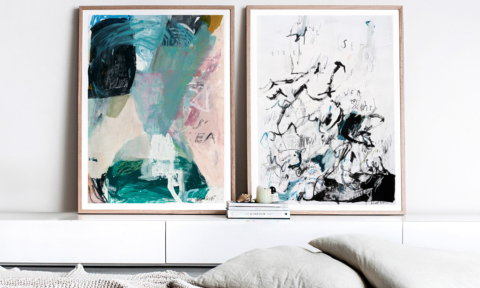 Want to get your hands on these goodies but don’t have the cash? 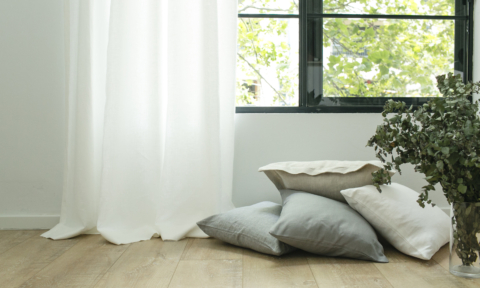 Enter our competition to win a $1000 voucher from Pottery Barn Kids. Entries close at 11.59pm AEST on 31 August 2017. Good luck!